The snippet editor is one of the core pieces of technology in Yoast SEO. It helps you build snippets that truly stand out in the search results to get you traffic. To make this vital piece future-proof and to update it with new features, we needed to rebuild it. In Yoast SEO 7.7, you’ll find the result of that. Plus, a new and incredibly easy way of working with snippet variables. The new snippet editor offers a much better user experience. Editing your meta descriptions and titles is a breeze and checking how it all looks a joy. It’s robust and easier to use. You’ll notice it right away when you open a post. Heading over to the Search Appearance settings (Content Types, Archives or Taxonomies), you will also see the editor pop up. There, you can now visually edit the appearance of your snippet variables. More on that later. Improving the snippet editor also made it possible for us to enhance the mobile snippet preview. It’s much more accurate and closely matches what Google shows. We now default to the mobile snippet preview. In addition, we take a critical look at how long the title that we show can be. For this, we use the longest possible character count available on all platforms. You can automate some of your SEO work by using variable templates for your titles and meta descriptions. This way, you can use some existing content, for instance, an excerpt, or a focus keyword and have these filled automatically. What’s more, if you have a WooCommerce store and run Yoast SEO for WooCommerce, you can automatically fill in the product’s sku, brand and price. You can find the list of all supported template variables in our Knowledge Base. The snippet variables in Yoast SEO are very powerful. While you can do awesome stuff with it, most sites will probably be fine using the well-thought-out default settings we provide. Previously, these variables looked kind of scary with those %% signs and lack of visual feedback. Testing various snippet variable setups meant a lot of switching between browser tabs to see the rendered end result. We’re now changing that! As I said, the new snippet editor lets us do cool stuff. It made it possible for us to revamp how we use variables for titles and meta descriptions to make it instantly understandable for non-experts. This leads to huge usability benefits and a truly enjoyable user experience. We’ve opted for sensible defaults fit most sites fine — for instance, for the SEO title: Title, Page number, Separator and Site title —, but you can change these if you really want. We’ve made a handy button called Insert Snippet Variable to quickly add the requested variable. You can simply pick the variable from the dropdown menu. The same goes for the Meta description field where you can automatically generate — parts of — your snippet’s meta description by adding variables. 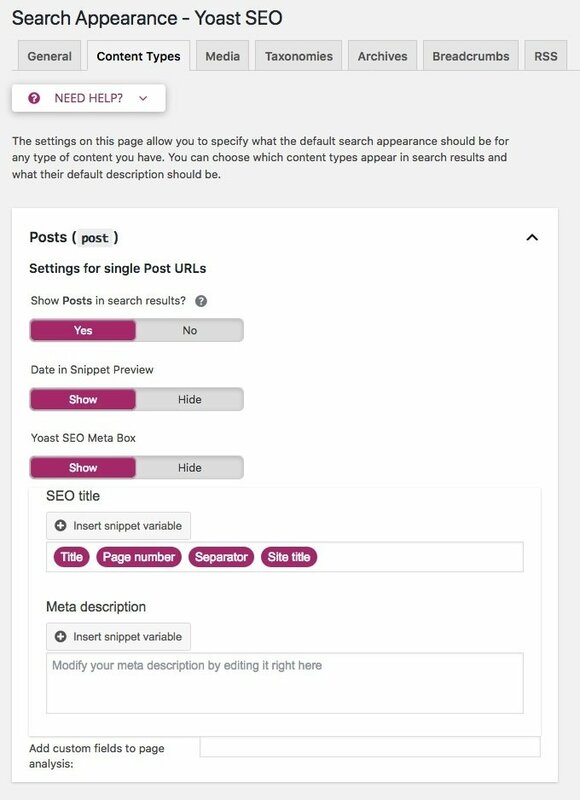 You can set sitewide variables for meta descriptions and titles in the Search Appearance settings, but you can always override them on a per post basis in the post editor. The last thing we’ve opted for in the new snippet editor is to change how the meta description preview functions when there is no handwritten meta description. We no longer mimic Google by showing a part of your content, but explain what Google does instead. Hopefully this will remind you to write those killer meta descriptions. It’s always a good thing to dive into the settings of Yoast SEO regularly to see if everything is still perfectly set up for your site. Definitely take a look at the new Search Appearance settings page and check the different tabs to see if there’s anything to improve. While doing that, you probably discover a new setting or feature from time to time, like setting template using the new snippet editor. For Yoast SEO 7.7, we reviewed several community contributions. There were a couple that made the cut this time. First, Laurent helped us improve the lists of French transition words, stop words, and function words for use in the readability analyses. Thanks to Matteo, we have now added support for JSON-LD breadcrumbs. You can switch on the breadcrumbs setting and see the necessary code for it generated in the source code. Last but not east, we’ve added a wpseo_attachment_redirect_url filter to allow changing of the target redirection URL for attachments. This may be necessary to restore the redirect to the parent post. Thanks to Alex Kozack for this one. If you also have a bug, patch or feature request, please raise an issue over on the Yoast GitHub account. 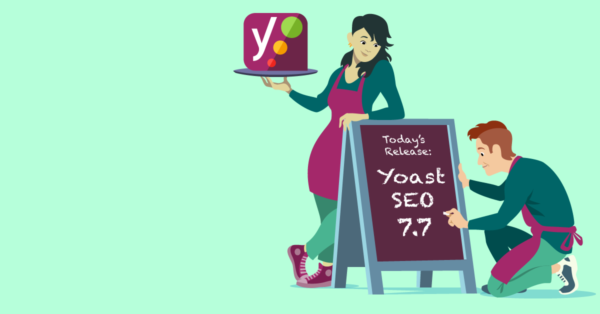 There you have it: Yoast SEO 7.7 is available to all. It’s a great release with lots of new stuff to discover. The new snippet editor makes for a great user experience and the revamped template variables can give your productivity a big boost. 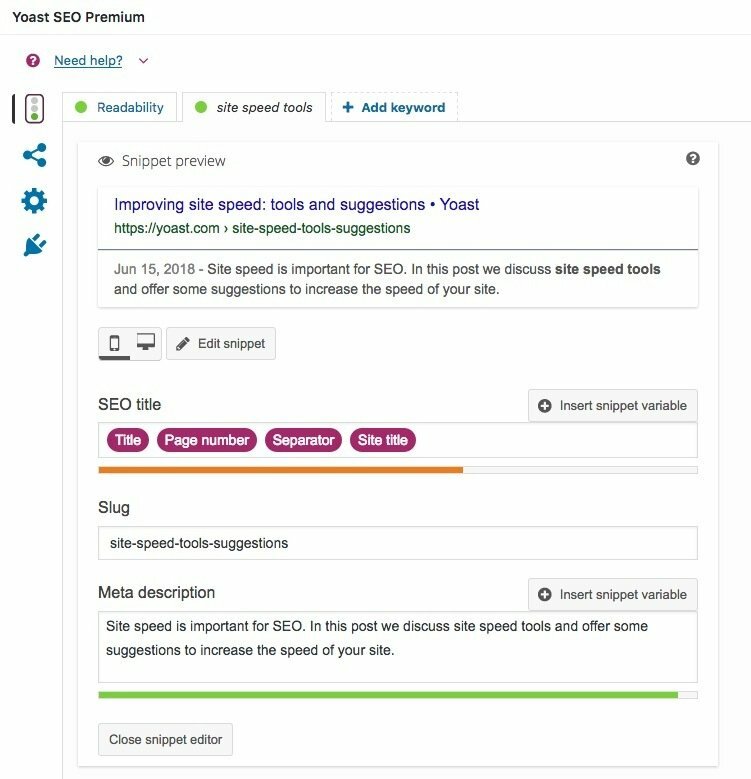 Check out the new and improved tools and update to Yoast SEO 7.7 now! Or check the changelog here. With the new version, I can no longer type in my snippet. The “s” does not type and when I type in an “o”, it brings up my Divi Builder settings. Are these two not compatible? Quite frustrated. Jo-Anne – I experienced the same issue. Updating to the latest version of Divi resolved the issue. Hi, really good update – looks fab so far. How do we activate the new json-ld for the breadcrumbs through the plug in please? Hi Laura, Thanks! Glad you like it. You can find the answer here: https://kb.yoast.com/kb/implement-wordpress-seo-breadcrumbs/ Good luck! Hello , no sitemap ? Looks a lot cleaner now. Hi Andrey, That’s correct. Google doesn’t highlight it either! Well, I love this feature. This feature made me lazy and save more editing time. A little feedback. Please make more control for snippet. The Snippet preview would be great. Hi Edwin. It may be helpful for some people, that they can now visually edit the snippet variables, I don’t like it, that I must work within this broken text flow. Really bad is the forced blank space after every snippet variable. Before I have used ‘%%term_title%%n’ in meta description for post format (german plural) ‘Galerien’. Now ‘Galerie n’ does not really work anymore. Hi Willemien, I tried to reproduce the bug, but everthing works fine – no blank space. I am so sorry that I’ve wasted your time! But annother question (off-topic): Is there an option to create a kind of “conditional” [charakters] or variables, e.g. %%tag%%[ > ]Title. If there is a Tag with “Author Name” you see “Auhor Name > Title”. If there exists no Tag, you see only “Title” instead of ” > Title”? I believe this update has caused an error with the title of my blog in the Yoast snippet preview. My Blog name is “I’m Simply a Dad” and It now shows “I'm Simply a Dad” instead. How can I fix this, and will Google display this error when people see me in search??? Hi Dave, Thanks for commenting! Perhaps I’m overlooking something, but to me both names look the same? I love Yoast and this update does make the snippet editor more user friendly. I have a strange issue that I assume is a bug, but will post here to get a response. Since the update, when typing in the snippet editor the “s” and “h” keys don’t work. It’s obviously not a hardware issue since the keys work fine everywhere else (including here). I am using the DIVI theme. The snippet is so short now. What should I do with the old and long snippet in the post? Let it be, or manually reduce it? The new update sounds very interesting. Good job! Hey there! After updating to 7.7.1, I’m no longer able to edit snippet descriptions and when we try to do that, it says ‘Something went wrong. Please reload the page’. whats happened, 7.7.1 update so soon ? Technically, the article page has already been indexed at time of publishing, So Google can re-crawl it directly without any need of going through the paginated pages. I want Google to keep only my article pages in its Index so Please let me know if there is any way we can restore to old version of yoast plugin. Hi Danny, We’re sorry you’re having trouble with the update. Could you please add this issue to the GitHub repository and describe it in detail? https://github.com/Yoast/wordpress-seo/issues Thanks so much! horrible, I can’t write properly on the metas. It doesn’t write on the cursors position. Hi Juan Pablo, We’re sorry you’re having trouble with the update. Could you please add it to the GitHub repository and describe it in detail? https://github.com/Yoast/wordpress-seo/issues Thanks so much! Very bad update again. Each day this plugin is worse, I’m seriously thinking about changing this seo plugin. I’m confirm that bug in 7.7.2. Language is russian, but in addition to auto-removing a special character 🔴, new entered symbol placed in wrong place (right-to-left issue?). No problems with the plugin before the update to 7.7.x was not. Hey Andrey and Marion, We’re sorry for the inconvenience. We’re currently working on a fix for this issue: https://github.com/Yoast/wordpress-seo/pull/10202 It should be included in the next patch release. After clicking “insert snipping variable” and pressing the ESC key the inserted “%” should be removed again. Thanks for your comment! That’s a known bug and it will be fixed as soon as possible. I have an issue with this update. Since you’ve added collapsible post types in the Content Types section, there’s no longer the option to change the “Custom Content Type Archives” meta details, which was an option before. The Custom Content Type Archives should be available inside the collapsible box for that particular custom post type. If it doesn’t appear, you should check if the archives for that post type are activated. The snippet preview now looks much better with this update. The new snippet editor and improved mobile snippet preview is something that I really love from this update. Great update! Do you have a concrete example for this “bloat”? I feel like all I hear here is “Yoast is bloated” but no one gives any examples or shows what this bloat actually is. I have used Yoast for years and am totally willing to move to something better if it’s out there, but all people say is “The SEO Framework is better, Yoast is bloated” and never give examples. I’m not sure what you are referring to, Janha? We’re always trying to improve the plugin and do everything we can to strike a balance between valuable features and great performance. Ah, missed that somehow. Thanks for bringing that to my attention! Kudos. To the entire Toast team. It’s not toast its yoast. Smart move making the snippet elements more user-friendly. Makes templating aspects of title & description snippets much easier and that can be a real time saver. All good stuff. Thanks. Thanks, Mark. Glad you like it! I’ve noticed that with the 7.7 Update so many importante snippet varibales are gone! Especially the year and month are important to me! Please bring them back! I appreciate your bringing back of the %%currentyear%% snippet variable but please could y’all bring back the %%currentmonth%% variable as well. I, for a couple of my sites and a couple of client’s site, make judicious use of those two variables for most articles on the sites and have done so for years. Updating the plugin to 7.7 on the sites in my portfolio broke hundreds of pages since those pages rely on the snippet variables %%currentmonth%% and %%currentyear%% in their SEO titles. Going through each article every month to update the SEO title to reflect the current month would be a pain. I have, currently, rolled back the plugin to 7.6.1 pending the reintroduction (please) of the snippet variables (%%currentmonth%%) some of my sites rely on. Nice job on keeping the plugin up to par, though! That’s very nice of you, Liza. You’re welcome, Brian. 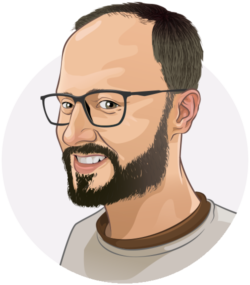 Hope you enjoy using Yoast SEO even more. This is a good and my favorite development. So why did they reduce the character length to 156?